THIRTEEN OF NSW'S FINEST BOARDRIDERS CLUBS TO DUKE IT OUT AT KIAMA FOR THE NUDIE AUSTRALIAN BOARDRIDERS BATTLE. The 2018 nudie Australian Boardriders Battle series will make its NSW debut this forthcoming weekend with 13 clubs participating in the southern qualifying event at Kiama. A range of current and former World Surf League (WSL) World Championship Tour (CT) surfers – including Connor O’Leary (Elouera) and Blake Thornton (Maroubra) are expected to be representing their hometown boardriders clubs when the elite one-day event kicks off on Saturday, 15th September 2018. Participating clubs include Bondi, Southbridge, Jones Beach, Ulladulla, Maroubra, Woonoona, Scarborough, Sandon Point, Culburra, Elouera, Port Kembla, Dalmeny and Werri Beach. 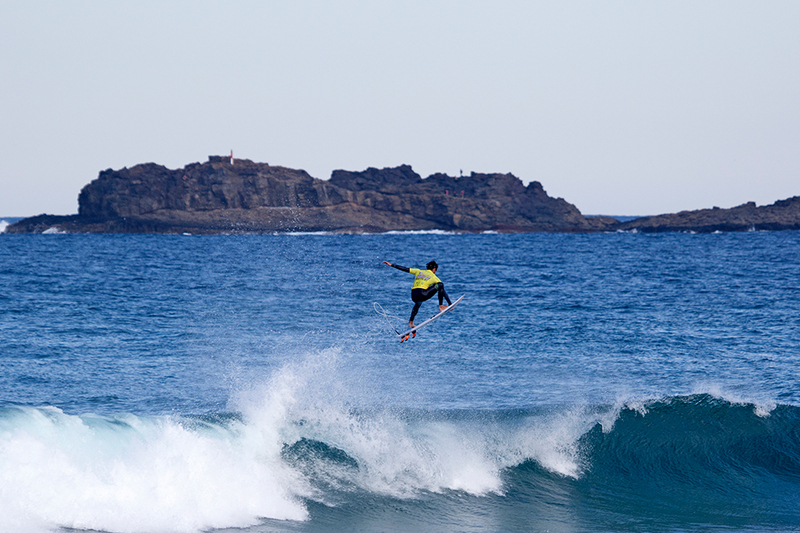 The main base for event two of the nudie Australian Boardriders Battle is Bombo or Jones’ Beach. Early swell forecasts indicate that there will be a two-to-three foot northeast swell on offer for competitors. All competitors are advised to call the event hotline (0458 247 212) by 6.45am on the days of competition to confirm location and running order. The nudie Australian Boardriders Battle is officially sanctioned by the World Surf League (WSL), which allows Australian WSL Championship Tour surfers (men and women) the opportunity to represent their local boardriders club at respective state qualifying events as well as the national final. The purpose of the nudie Australian Boardriders Battle program is to build the profile and capacity of community boardriders clubs Australia-wide. In the past five years, Surfing Australia has invested over $750,000 into Surfing Australia affiliated boardriders clubs as part of the nudie Australian Boardriders Battle series. The 2018 nudie Australian Boardriders Battle is Australia’s biggest grassroots boardriders event and involves more than 60 of Australia’s best boardrider clubs across eight state qualifying rounds with 24 clubs competing at the National Final in Newcastle. Major sponsors of the 2018/19 series include the naming rights partner nudie and supporting sponsors Oakley, Woolworths, Hyundai, Nikon, AirAsia, Destination NSW, Localsearch, Newcastle City Council, World Surf League, mySURF.tv, XXXX Summer Bright Larger, Fox Sports, 2XP and Surfing Australia.